Surrounded by the romantic paradise of her sister’s destination wedding in Jamaica, Madison Grey realizes she must overcome her paralyzing fear of the ocean—and her broken heart— to start living again. Luke Alexander, the groom’s brother, is a missionary who has come to terms with a life of singleness—until he meets Madison. During the wedding, their personal connection intensifies when a stalker stirs up haunting memories of her gold-digging ex-fiancé. After Madison mysteriously disappears and the newlyweds receive a ransom note, Luke dives into action to find her. Will he save Madison in time or will she be forced to suffer her worst nightmare… in the depths of a glass bottom boat? “Surrounded by the romantic paradise of her sister’s destination wedding in Jamaica, Madison Grey realizes she must overcome her paralyzing fear of the ocean—and her broken heart— to start living again. Luke Alexander, the groom’s brother, is a missionary who has come to terms with a life of singleness—until he meets Madison. I’m thrilled to introduce you to the first book in my Christian romantic suspense “Flight to Freedom” series! In The Glass Bottom Boat, Madison Grey works through her insecurities and past hurts while trying to be strong for her little sister, the bride-to-be. One of her major issues was that of rejection when the perfect scenario she anticipated for her life failed in the most painful way. Ironically, this actual book has been a story of rejection for me in some pretty painful ways, too. Most writers will tell you that it is indeed a long and winding road to publication, one less traveled and not for the faint of heart. But when you have a message to share—be it fact or fiction—you simply can’t keep it to yourself. 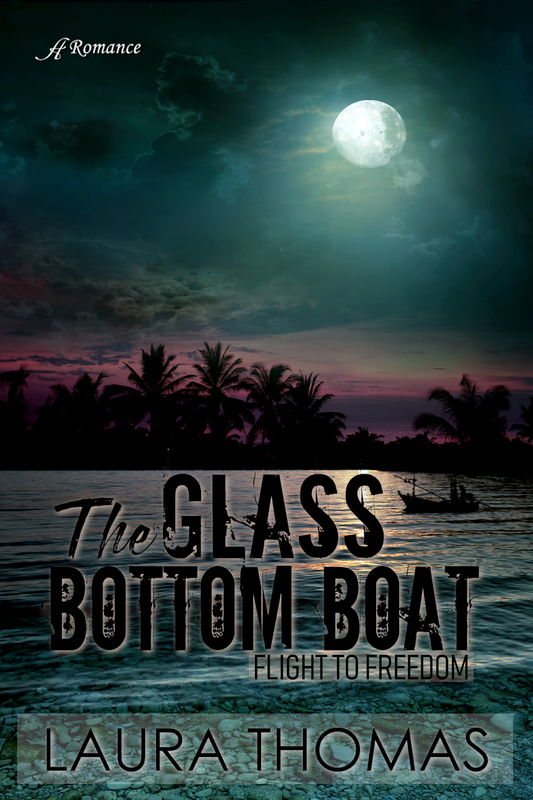 It’s been a long, trying SIX-year journey for The Glass Bottom Boat… paved with discouragement and frustration. But, like Madison, I’ve learned much in the process. Perseverance, patience, and always holding onto hope. For Madison, the timing for love had to be right, and for me, the timing for my book is now! I am ecstatic to have this book published by Anaiah Press and finally available for all to read. It’s a page-turner melding elements of romance, faith, and nail-biting suspense in a tropical setting. Enjoy! Laura is a published Christian author with a heart for inspiring and encouraging readers, especially in her romantic suspense, teen fiction, marriage, and children’s books. Laura is a chocoholic mom of three, married to her high school sweetheart. Originally from the UK, they live in Kelowna, B.C. as audacious empty-nesters.